Recent survey by eBay Motors called the –Future of Automotive Shopping-, found that consumers – especially younger drivers aged 18-29 – expect technology be used to enhance the car buying experience and are more likely to adopt mobile and online tools to purchase cars, trucks and automotive parts and accessories (P&A). Dealers can better take advantage of off-the-shelf technology to give their online visitor the same level of service other industries provide their clients, like the financial industry. As Millennials continue to mature, there will be more demand for solutions that facilitate an online transactions. Traditional methods, (those methods deployed as recently as 12 months ago or later) are likely less than adequate. As the pace of technology changes dealers would be wise to focus on platforms that can scale with mobile, video and customer experience as corner stones. Andrew Compton is V.P. of Automotive with VeriShow. 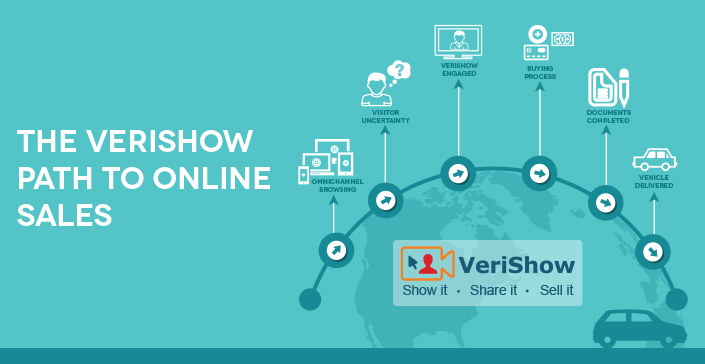 VeriShow is a leading provider of WebRTC and omni-channel solutions. VeriShow offers a real-time communication and collaboration platform specific for the automotive industry and technology providers serving the automotive ecosystem.